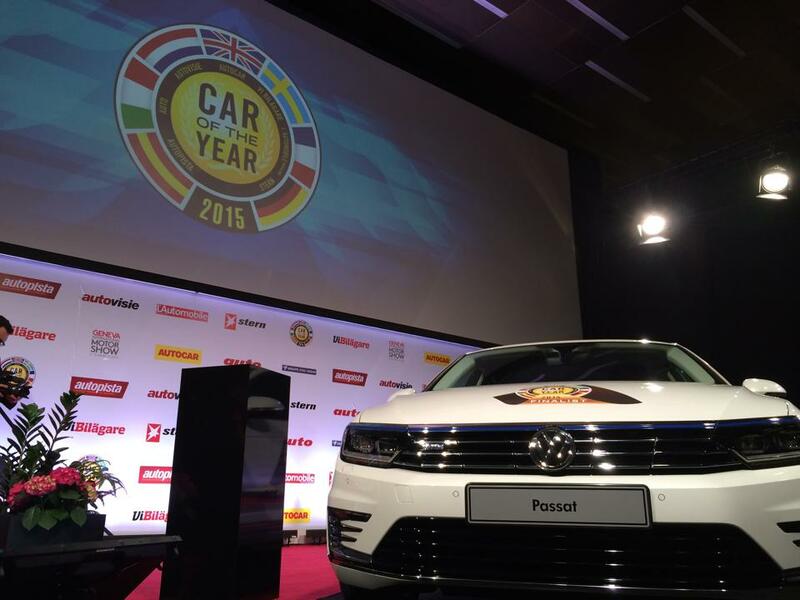 The Volkswagen Passat has won the coveted European Car of the Year 2015 award with 340 points from a panel of 58 judges, after being announced at the Geneva motor show on Monday. As the successor to last year’s winner, the Peugeot 308, the Passat took the top prize ahead of the second-placed Citroen C4 Cactus (248 points) and the third-placed Mercedes C-Class (221 points). A total of seven nominees for the European Car of the Year 2015 award made it to the final showdown from an initial list of 31 candidates. Journalists from all over Europe make up the judging committee, with representatives from the UK including Autocar’s Matt Prior, The Sunday Times’ Andrew Frankel and Top Gear Magazine veteran Paul Horrell. To be eligible to enter the award, models must be new vehicles on sale now or before year’s end in five or more European countries, while also having the prospect of 5,000 or more foreseeable annual sales. This is the fourth time the eve of the Geneva motor show has been used to announce the winner of the European Car of the Year award, and is fantastic prelude to two very exciting days for us at Anything Motor, as we attend what is arguably the most important motor show of the year.